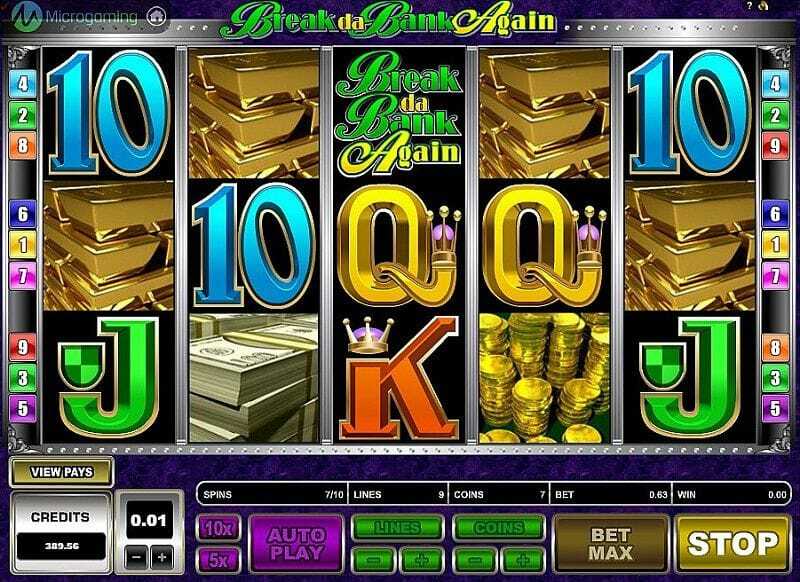 The sequel to the hugely popular Break da Bank slot game, this follow up slot has all the much-loved features and symbols of the first, and then some. If you haven’t already played the first game, then the reason for it’s popularity was the high-volatility, plus it’s simple gameplay. So you can expect more of this in the second instalment. More of this game on Barbados bingo site. 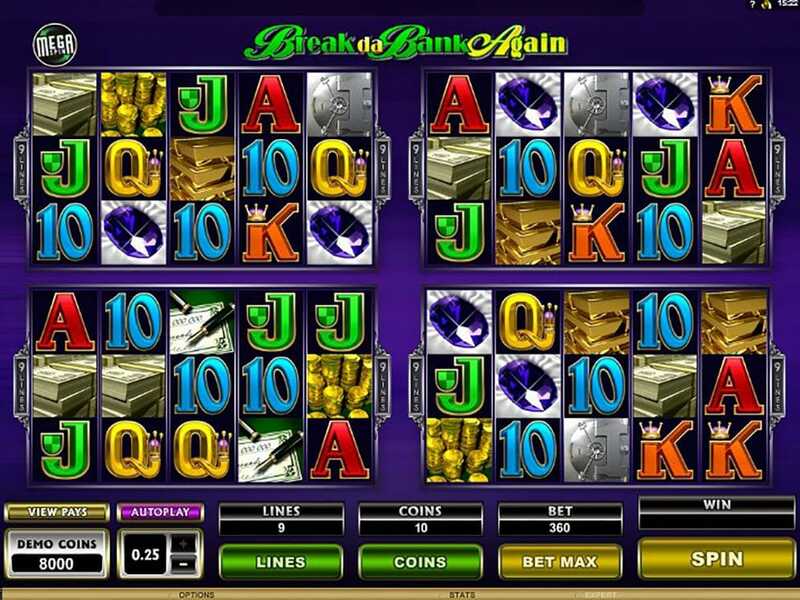 Microgaming is the games developer behind the Break da Bank games – the company is one of the most recognised names in the industry, dating back to 1994. They’re well-known for their large payouts, and broke the record for paying out more than $10million in progressive jackpots over the years. So you know when you’re playing a Microgaming slot, like Break da Bank you’ve actually got a really good opportunity of coming away with something huge! More of their games you can find at Barbados online slot online promotions. You’ll notice the game looks like its predecessor, with symbols like gold bars, gold coins, cash, pens and checks, diamonds, the games logo and the vault, as well as the playing card symbols 10-Ace. 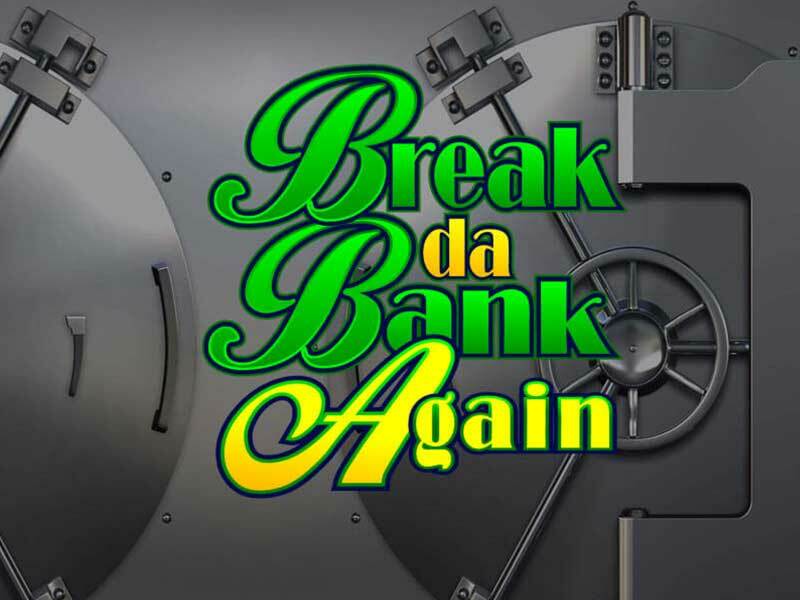 Wild symbol – the Break da Bank logo is the wild, and therefore the most important symbol on the reels. It substitutes for all other symbols on the reels, except the scatter, and if the wild contributes to a winning combination, your win will be multiplied by 5. In the free spins round this multiplier increases to 25x! Scatter symbol – the vault is the scatter symbol and if you land 3 or more of these you’ll trigger the free spins round. The amount of free spins depends on the amount of symbols landed to trigger the round, so 3 scatter symbols gets you 15 free spins, 4 scatter symbols gets you 20 free spins, and 5 scatter symbols gets you 25 free spins. Free spins round – all wins throughout the free spins round will have a 5x multiplier added, and if you land another vault symbol on the reels you’ll get an extra spin. You can win up to 375,000 coins in this free spins round! If you’re a high-rolling slot gamer, then this game might not be for you, as the maximum bet limit is 0.50 per spin. However, the high volatility of the game means that you don’t really receive wins little and often, more that when you get a win, it’s a big one. The same with triggering the bonus round – it can take some time, but it’s worth it. All in all this is a great game for patient players, potentially low-budget players, as it offers higher wins, and some decent bonus features. Discover ways to win and have fun while playing! Don't miss your streak wins and play today.